Item Set #10. 1/72 scale. 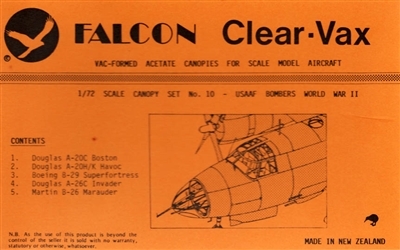 Vacuform canopies for 1/72 scale U.S.A.A.F. 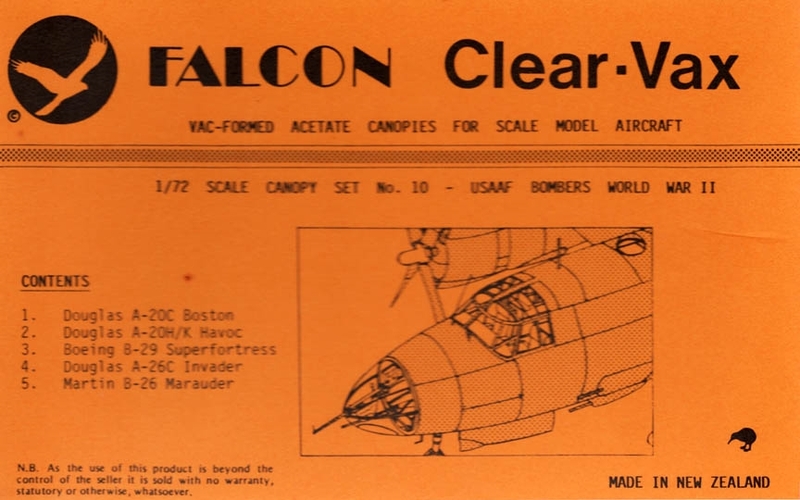 bomber aircraft of WWII: Douglas A-20C Boston, A-20H/K Havoc, A-26C Invader; Boeing B-29 Superfortress; Martin B-26 Marauder.